WASHINGTON — During the month of October, WTOP profiled eight Marine Corps Marathon runners. Brooke Sydnor Curran — 3:51:05. 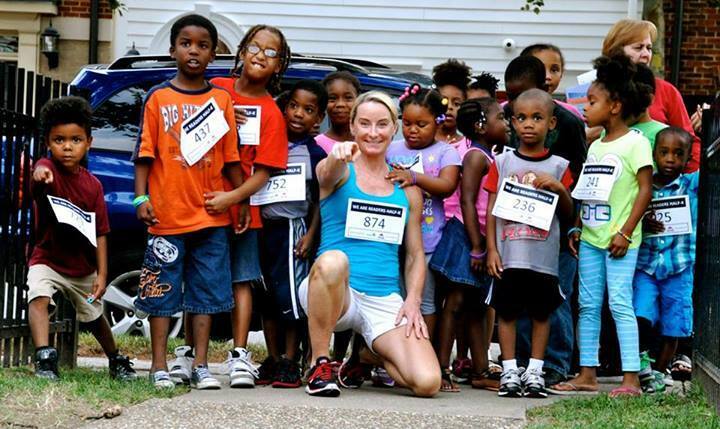 This was the 100th marathon for the Alexandria, Virginia, native, who is raising money to renovate local playgrounds through her nonprofit RunningBrooke. Jim Anderson — 4:34:03. Raised in Reston, Virginia, Anderson ran to honor a high school friend who was killed in the 9/11 terrorist attack at the Pentagon. Roxanne Kaylor — 5:06:21. She ran in memory of her son, Army 1st Lt. Jeff Kaylor, who was killed during Operation Iraqi Freedom. Ron Allison — 4:58:11. The first-time marathoner from Springfield, Ohio, decided to take control of his health and lost 160 pounds, nearly half his body weight. Samaria Hunter — 6:52:17. Three days before the marathon, she completed her last round of radiation to treat a life-threatening brain tumor. Anna Bevill — 6:04:41. Anna ran her first marathon in memory of her brother, Army Spc. Thomas Doerflinger, who was killed in Iraq on Veterans Day in 2004. She is part of the wear blue: run to remember Gold Star Race Program. Lori Falcone — 5:20:33. This was a first marathon for Falcone, who was critically injured when a car crashed through a restaurant. She ran to raise money for the Semper Fi Foundation. Kareen Lawson — 6:24:27. She completed the marathon while pushing Jeffrey Bergeman, a 10-year-old boy with special needs.